1.3 The Rainforest Spa costs! 1.4 Disney Cruise fireworks are too late! 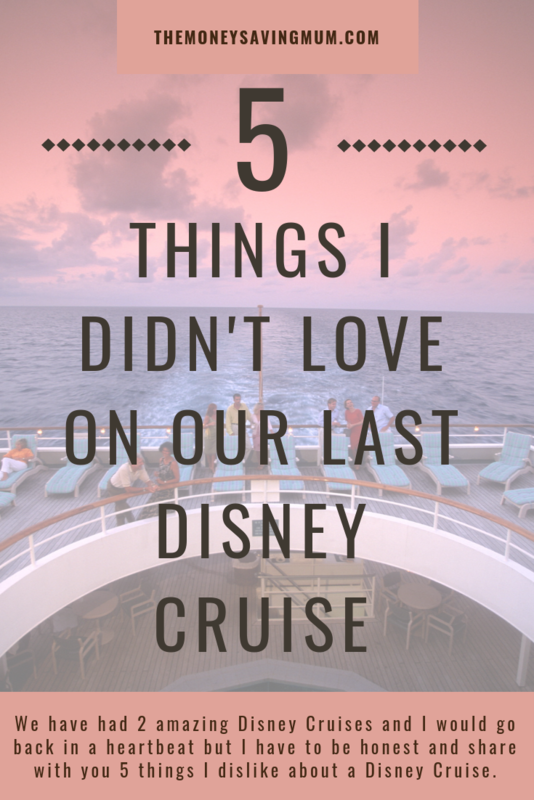 We have had 2 amazing Disney Cruises and I would go back in a heartbeat but I have to be honest and share with you 5 things I DISLIKED about our Disney Cruise. These don’t have to be paid but it is customary to ‘tip’ over in America in recognition of good service which you do get so we do however the fact you have to bare in mind the tips before you even Cruise to get a true reflection of the cost does annoy me a little! It’s calculated per guest per night of the Cruise and covers your server ($4), your servers assistant ($3), your head server ($1) and stateroom host ($4) at the very least. You should also expect an 18% gratuity to be added to any Spa service and anywhere you create a ‘tab’ with discretionary gratuities that cover dining manager, room service, signature restaurants & any port adventures. You can pay the gratuities when you pay your remaining balance which is something I will seriously consider doing next time. I believe we will receive the same high standard of service either way we do it but it will just allow us to budget the full cost of the trip rather than getting the bill at the end of the cruise and realising either you still need to pay x-amount of money on the last day of the trip or you know you will get home to a credit card bill with the full amount. Sometimes you don’t want to get off the ship when it’s in port; well don’t expect to shop! The stores are closed when the ship is docked due to, I think, local custom regulations. I totally respect the reasons for it but it’s such a pain! It’s an ideal time when most are off the ship to explore the ship a little and browse the shops but no can do I’m afraid! It’s to be expected that you pay for treatments in the spa but I didn’t expect to be charged to just enter the spa and sit on their seats, have a sensory shower or relax in their steam room! You can get day/week passes but still I feel they could at least allow you to relax if only for a limited time for free! Oh & don’t forget the 18% automatic gratuity as well! 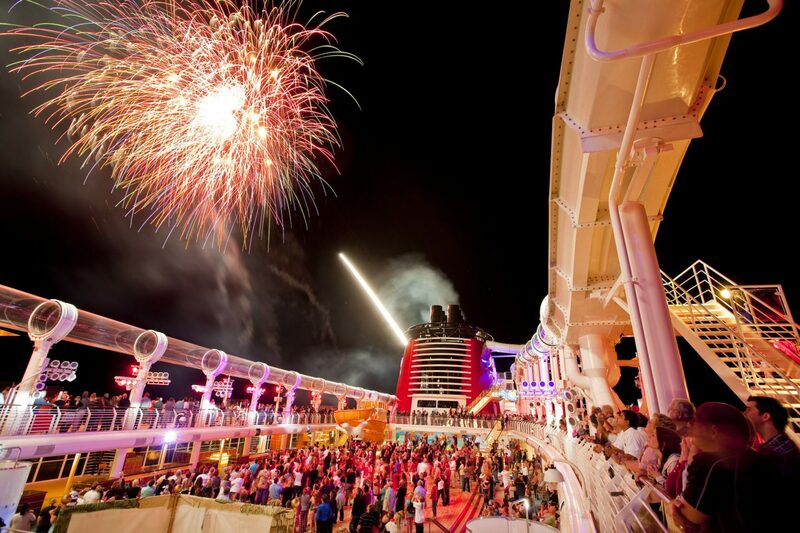 Disney Cruise fireworks are too late! Not all itineraries include fireworks and/or Pirate Night but the 3n & 4n Bahamas cruise we’ve been on have an evening where we are all ‘Pirates IN the Caribbean’. There are two pirate shows featuring the ‘fab 5’ (Mickey, Minnie, Goofy, Donald & Daisy) early on in the evening with a MASSIVE break of nearly 2 hours before the fireworks at sea at 10:30pm! I originally thought the fireworks show on our May cruise were after 10pm because it got dark later in the Bahamas but then when they were on at the same time in November and it was dark a lot earlier I realised that that wasn’t the reason at all!? Because we have small children we have early dining meaning we have dinner around 5 and early breakfast around 8am because the kids are kids that get up early whatever time they go to sleep! Ours aren’t the only ones that can’t make it to 10:30pm either…. in comparison to a few hours earlier at the Pirate party there are very few kids out on deck watching the fireworks which is such a shame! I haven't actually seen the fireworks for myself either as I had to stay in the cabin with the little one. 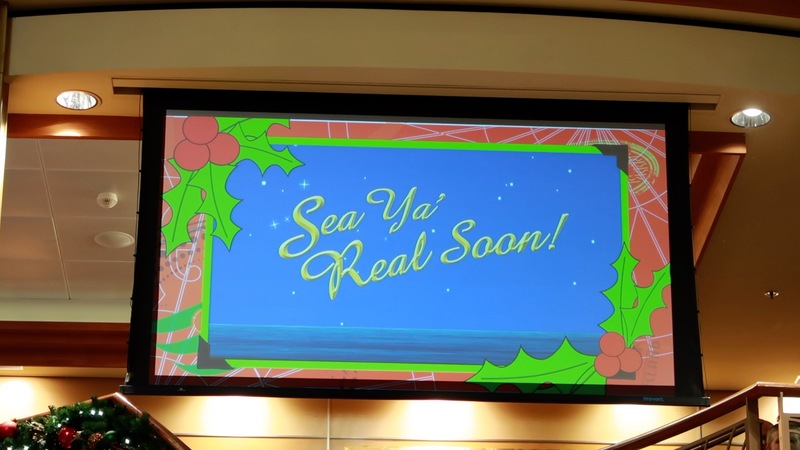 As I first mentioned in this post I absolutely LOVE a Disney Cruise so even though there are a few things that I'm not massively happy with; I had to include the fact that we have to get off is the most disappointing thing about a Disney Cruise 100%! The service you receive, the cleanliness, the variety of food, the entertainment, the views; it's truly paradise and that's before you even step foot on Disney's own private island of Castaway Cay. Our cruises don't end as abruptly as it could though because we don't fly home until the evening. We tend to head back over to Orlando to spend our last full day having some fun before making our way to the airport. Our last one ended up with us visiting Mickeys Very Merry Christmas Party at Magic Kingdom (and flying home the following day!) with the one before that having spent at the beautiful Orlando International Airport Hyatt hotel which was a lovely relaxing end to our holiday. Thanks for reading & feel free to pin this to read again later! Cheap things to do in Orlando | 10 Orlando attractions for £20 or less! How to do Walt Disney World in 7 days! 10 fun facts about Mickey Mouse that you may not know! Packing for Walt Disney World - a trip must have! How our last Disney trip cost just £197! Make savings and save book seats 72 hours in advance with Virgin Flying Club! Where to get cheap official Disney merchandise outside of the parks? Best stroller rental in Orlando? Disney Free dining is back... and here's everything you need to know! Top 10 tips on how to get the most from your FREE Disney Dining plan! How we got our Disney accommodation for FREE! How to maximise your annual leave in 2019! You make it sound like these (non)issues are only Disney Cruise ones. Not so. -Paying to enter the spa: All of the cruise lines charge for this – even the cheapo Carnival. They are all run by One Spa Corp and are about the same. -Getting off: I couldn’t get off my Carnival cruise fast enough. I’ll pay the premium and do Disney anytime. Not even a big fan of Princess, Norwegian or Royal Caribbean (talk about extra fees! ).